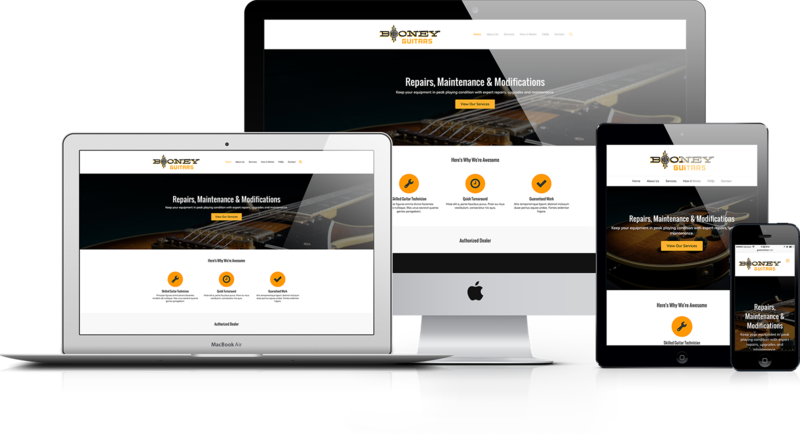 Booney Guitars keeps clients' instruments in peak playing condition by repairing, maintaining and upgrading guitars. 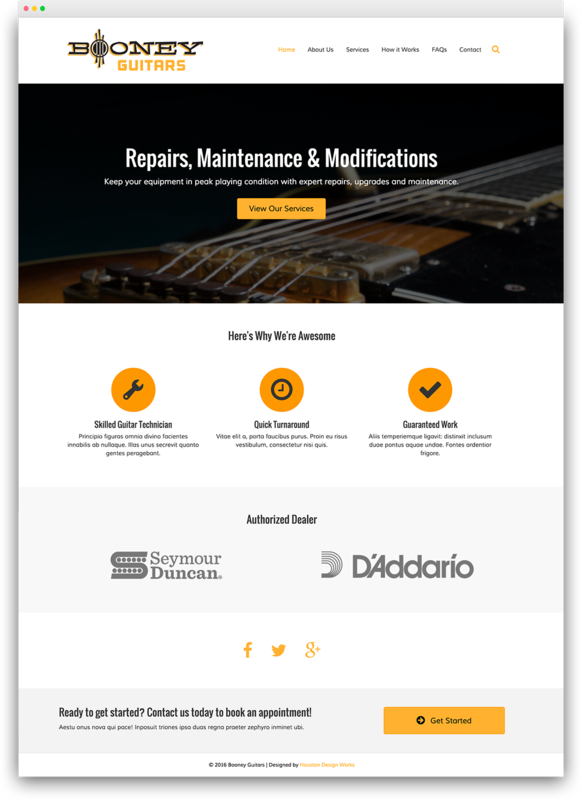 They ensure even the oldest of guitars play like new, and build custom guitars piece by piece to reflect the style and character of each individual customer. Houston Design Works built Booney's logo and business card and designed and developed their website.